Family Business United (FBU) and Western Pension Solutions (WPS) have teamed up for a day of celebrations in support of family firms that are embracing their heritage. Family Business Heritage Day is taking place on 10 September 2019. For many family firms that have managed to stand the test of time there is a lot of history and heritage associated with them. In the growing digital age it is easy to lost touch with the past and for books and records to fade to distant memories so we have created a day that will enable us all to share our support of family firms, a love of the past and a celebration of their continued success. 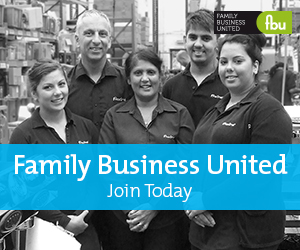 As Paul Andrews, Founder of FBU explains, "We spend a lot of time championing family firms and explaining the reasons for their longevity and the stories behind them. All too often family firms are dismissed for all the wrong reasons so we have created a day to embrace their stories, the history that is part of what has helped them become the family businesses that they are today. Family Business Heritage Day will create a real buzz around these stories and we will be encouraging all family firms that have a story to tell and are proud of their past to get involved too." As Ben Fowler, Managing Director of WPS adds, "Family firms are incredibly important to the UK economy and have been for generations. Working with family firms we understand how their stories help define the businesses that operate today and are delighted to be involved with a campaign that recognises the history and legacy from days gone by." History is important to us all and family firms are encouraged to share their historical images as part of a concerted campaign that will also confirm that family firms can stand the test of time. Family firms wishing to take part simply need to share their images from the past on social media using the hashtag #FamBizHeritageDay.